Here’s what I’ve been checking out on the internets! 1. This story is absolutely insane. 2. What do you guys think of the whole Nicki Minaj, Taylor Swift, Katy Perry thing? 3. I’m down for re-designed chucks! 4. Yoga Pants killed Jeans. Which side are you on? 5. Which worldly french fry toppings are you into? 6. This article in Time by Aziz Ansari has convinced me, Modern Romance is on my to-read list. 7. Girls like girls, like boys do! 1. I’m obsessed with chess pie and this one is gorgeous. 2. These cornmeal waffles look like the right way to start your day. 3. Or maybe cornmeal pikelets are more your jam? 4. I haven’t had bananas in so long, and this roasted banana ice cream looks like the perfect way to break my banana fast. 5. These cashew frosted roasted plum cupcakes are so pretty! 6. I’ve got a sudden craving for Swedish meatballs and mash. 7. Best summer cake ever, right here! 1. Thinking of getting this chainmail cast iron scrubby thing. Sometimes I use a bit of soap (gasp!) on my cast iron and I’m hoping this scrubby would eliminate the need for soap altogether. 2. Since I died my hair blue, I’ve been wanting to touch it up a bit. The color’s lasted incredibly long, thanks to this colored conditioner, but I’m thinking of maybe re-dying it with a bit of this hair dye, which I’ve heard is really good. 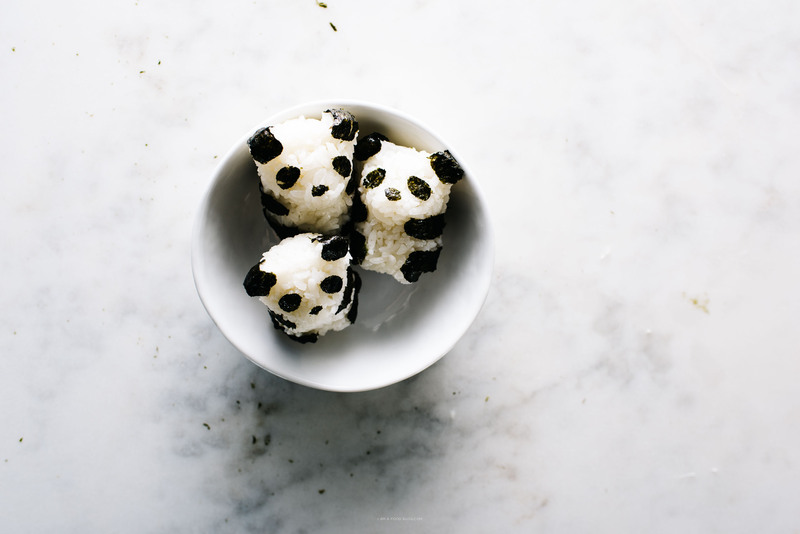 PS – Can’t stop, won’t stop making panda sushi. Call me obsessed. I use this maker and try to stuff fillings inside but usually just do them up plain. OMG PANDA SUSHI. so friggen cute. I just read through those Jennifer Pan articles you linked to (plus the Toronto Life comments were actually pretty thought provoking as well). Um, what???? That is some crazy shiiet. Can’t we all just be happy? Hugs for everyone, love each other, the end. 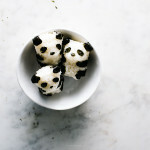 I wanna make panda sushi too! AHH WHY DO I LOVE CUTE THINGS SO MUCH! Out of all the blogs I follow, your “internet link” post are the ones I look forward to most. You always find the best articles (and other things)! Looking forward to checking everything out. Also i’m adoring the panda sushi! Eeeep those little panada sushi are the best!!! I’ve seen them in the Japanese markets and always think about grabbing them. You’ve convinced me that I should!! Also, Chuck II’s!!! YAYYY. I’m definitely grabbing a pair!! Just ordered Modern Romance–BOOK CLUB!? Girls like Girls like boys do! Ha, thanks for introducing me to that song/artist. Always down for a gay female punk teen summer romance music video. ALSO THOSE LITTLE RICE PANDAS BE STILL MY HEART. These pandas are so adorable! I must make these for my daughter’s lunch! The pandas are really creative and you always have such fun ideas. thanks for sharing.